Avoriaz and snowboarding go hand-in-hand, like an elderly couple holding hands down a promenade on a vibrant Autumn’s day, you can see a strong relationship from a mile away and feel the love as soon as you strap in for that first run. 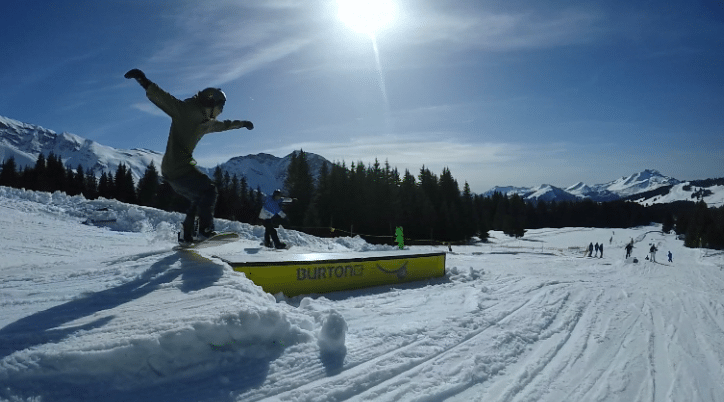 Snowboarding has long been an untameable obsession for many a resident of Morzine/Avoriaz (myself included) and for good reason; teeming with friendly locals and excited first-time seasonnaires, the atmosphere here is on another level. Never before have I made so many friends riding chairlifts with complete strangers. It certainly feels like a real sociable community here. Picture the scene; colossal landscapes, blue skies, and snow right up to your waist. Friends of old and new on the exact same stoke level as yourself and the entire day to explore these seemingly never-ending pistes, parks, free-ride areas, bars, and cafes, sounds awesome right? Absolutely! 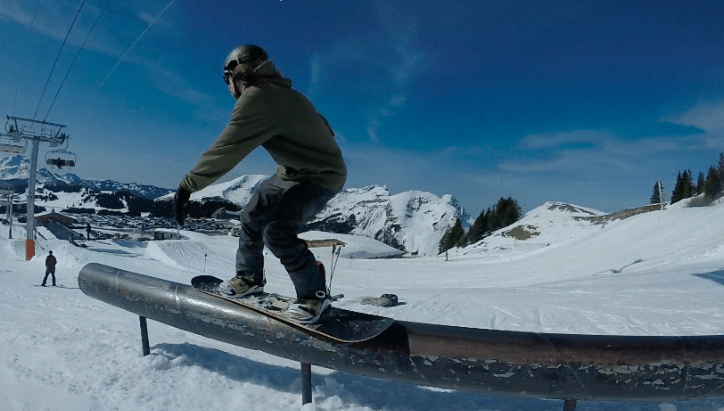 This is not to say that Avoriaz is exclusively for the grizzled, leather-faced veterans of the shred world, far from it. 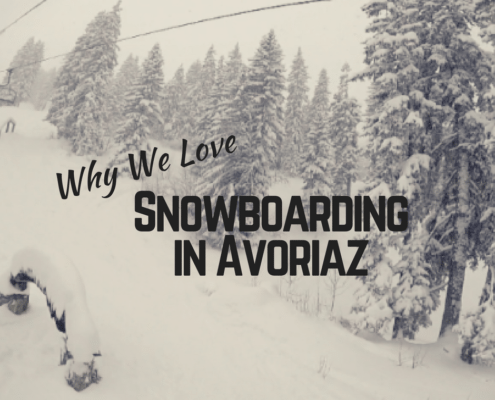 Avoriaz is for everybody; whether you’re new to the scene, have a couple holidays under your belt or a couple of seasons, the area is truly fit for riding of any nature. There are runs of all shapes and sizes, suitable for beginners, children, pros and all those in-between. To name every piste, tree run, park and powder stash would potentially take a lifetime and so I will whittle down some of my favourite places to visit up in this place so close to heaven. For the more adventurous, the stash is a custom built off-piste, tree-run, free-ride park equipped with giant wooden features rooted in the summer allowing the heavy snowfall in winter to coat them and make them ride-able. There are tables, wall-rides, rails, huts and carved wooden characters to keep you entertained and smiling all the way through, and it is completely your choice how and where you would like to ride (often times I will just cruise through the powdery tree-runs and enjoy the scenery). 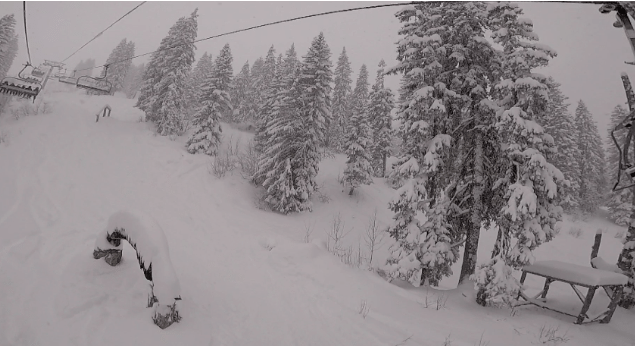 When the snow isn’t massively deep, some of these features can seem somewhat intimidating and this is what the ‘lil stash’ was made for. 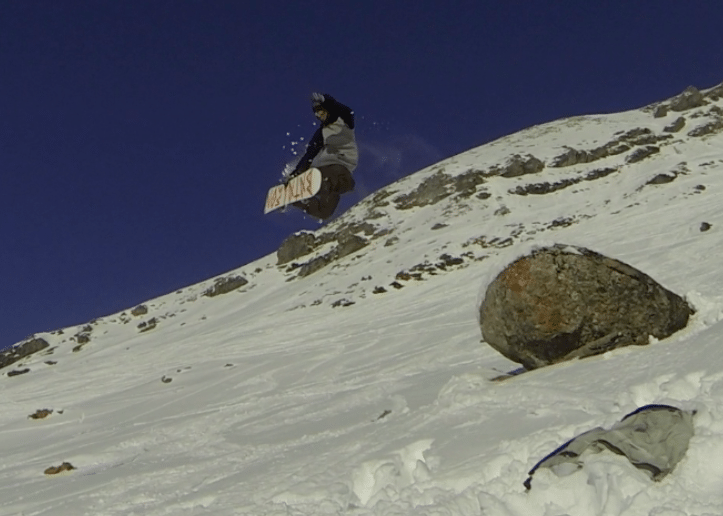 If this is your kind of boarding, do only go off-piste with a guide who knows the area. The ‘lil stash’ is the baby brother of the stash and shares many of the same qualities; it’s got wooden features, some tree runs, and a few semi-epic powder runs, however, this area is designed for children and beginners. The run through all these wondrous features is a green run, and so it’s mellow enough to learn and practise basic skills on, but if you are more of an intermediate or self-professed shred-master it is still one of the most amazing runs to put in those ‘how low can you go’ carves as you can maintain your speed well enough to really rail in a slick carved turn, and even throw in a couple jumps and jibs on the way down using the regularly maintained jumps and box features. The chairlift to access the lil stash is a lift named ‘proclou’ and on the way up, just at the top of the lift you are granted a view of potentially my favourite place in Avoriaz; the Chapelle snow-park. The Chapelle snow park to me resembles a local skate park, small enough in places to practise skills or hitting that first jump, but large enough to really progress your riding. It oozes a cool and friendly vibe, fully equipped with music and a nearby supermarket for refreshments. You can easily spend a whole day here and not even realise. While a lot of people may suffer from ‘park fear’ and the anxiety of not being the best or baddest dude on the mountain, this place could not be further from those notions. The people who ride here are always more than happy to lend a helping hand; to show you where to gather speed and to dish out advice on how to stay upright when getting into freestyle, just ask, and don’t be afraid of the hooded exterior of some of these ‘park rats’ as underneath is a human who has been exactly where you are and is most likely going to be flattered that you have come to them for support. If the park really isn’t your thing, then fear not. I have been saving (potentially) the best for last. Fornet is an area of Avoriaz, which is extraordinarily unique, and only two chair rides away from the top of the main lift into Avoriaz. 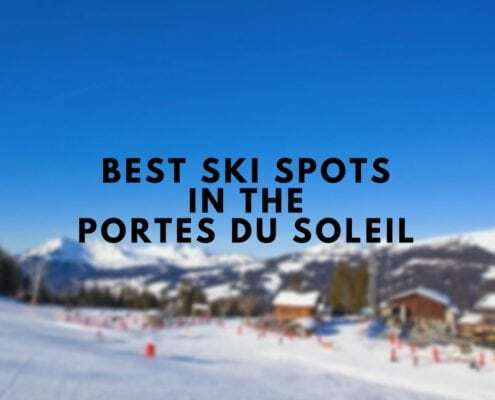 It is a ‘free-ride’ area surrounded by pistes, most of which are either blue or red, which means it is a great place to progress your on-piste and off-piste riding. The pistes loop around a moon-surface-like side-country area, which in the right conditions is beyond doubt a riding experience like no other. If you’re heading out with a guide, you might check out the multitude of cliffs to drop, powder runs to rip, and easily accessible mini-tour areas to practise touring and split-boarding without being out of sight of the pistes or the chairlifts, and so feels pretty safe as you push those boundaries. 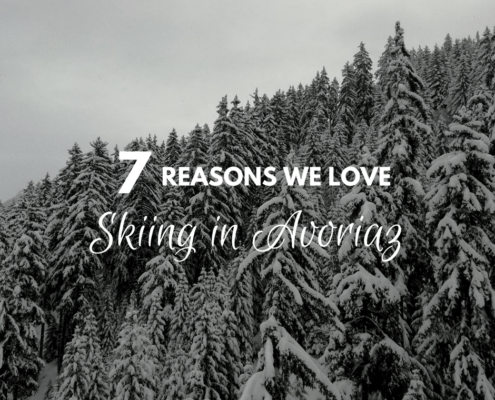 There are a million and one reasons why I love snowboarding in Avoriaz, and I feel that this blog has only really scratched the surface. So if you want to know what all the fuss is about, and why I’m becoming increasingly fanatical about this place, drop everything. Right now. Book your flights and come be a part of this wonderful, magical and totally unique place. You’ll only know when you go. Thanks for listening and I hope to share this magic with you someday.